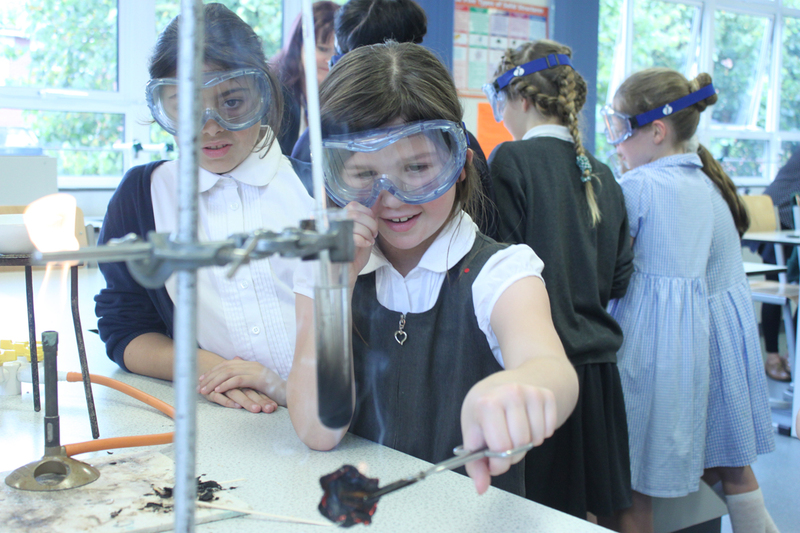 We welcomed 34 girls in Years 5 & 6 to our second Science Day. A total of 8 schools participated in Physics and Chemistry lessons aimed to inspire girls into science. Mr Aspley demonstrated through a carousel of activities in Physics that visible light is electromagnetic radiation made visible by sight. 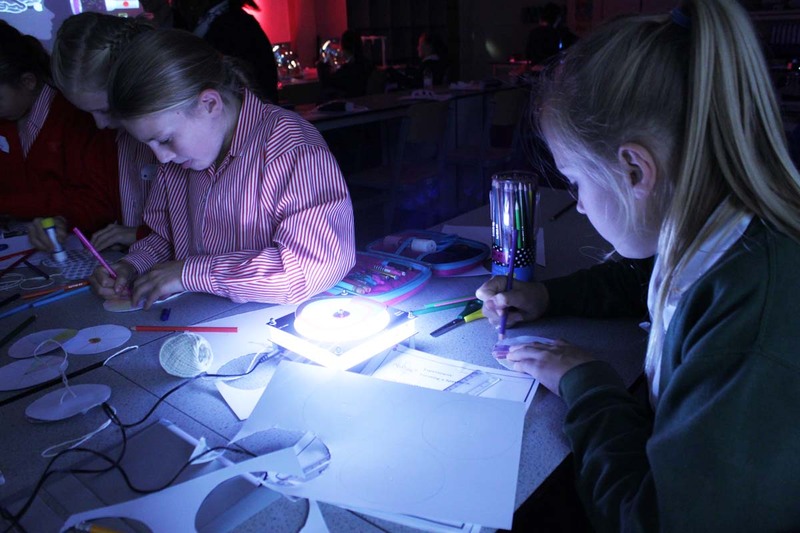 The room became a hub of colour and light with various materials and instruments introduced to show girls how light can travel and affect how we see things. Girls particularly liked making their own coloured spectrum paper-spinners and playing with neon pens and ultraviolet lights. In Chemistry, Miss Dunn demonstrated the importance of safety in the labs and prepared the group for using a bunsun burner. 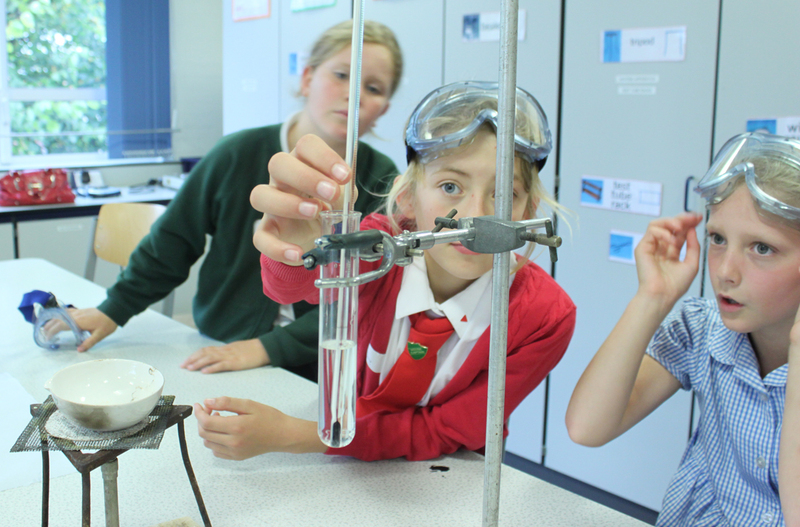 The girls got hands on with several short experiments including how to filter dirty water through sand, extracting salt by evaporation, and discovering the salt levels contained in crisps through burning. This particular experiment surprised a lot of our guests, leaving plenty of ready-salted snacks in packed lunch bags. Despite the rain which resulted in indoor play, girls embraced all things science, from munching and burning hula-hoops, to balancing them on their waists at break time. Thank you to all our visiting girls and their staff; we had a wonderful day!